It's taken me four years and eight months and I've finally done it. 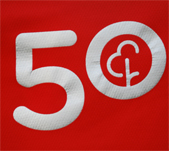 I can now proudly say I'm now a member of the parkrun 50 club. Waaaay back on 23 May 2010, I didn't don my running shoes and ran my first ever parkrun, and ran it completely barefoot. Since then I've run three more completely barefoot and all the rest in a variety of minimalist shoes - the stony & rocky parts of the Reading course became a hinderance to my times 😉. It's been a great 4+ years and I've grown to really love parkrun and have decided this year I'll be trying out a wider variety of parkruns - I've already done 4 different parkruns in 5 weeks. I also plan to do the local parkruns, where available, when I'm travelling, which will be much easier now San Francisco has one - I'm often in San Francisco. So without much further ado, here are a few statistics from my 50 parkruns. Slowest time: 21:43 at Delta Park - I blame altitude and it's a tough course. Favourite parkrun: Delta Park. It's a challenging course with tons of nostalgia attached as I used to run school cross-country in Delta Park. My next target is the 100 club, though I plan to join that club in a significantly quicker timeframe… just over a year should do it 😀.